The 2017 Journeys Alternative Press Music Awards, Fueled by Monster Energy have announced its lineup of performers. 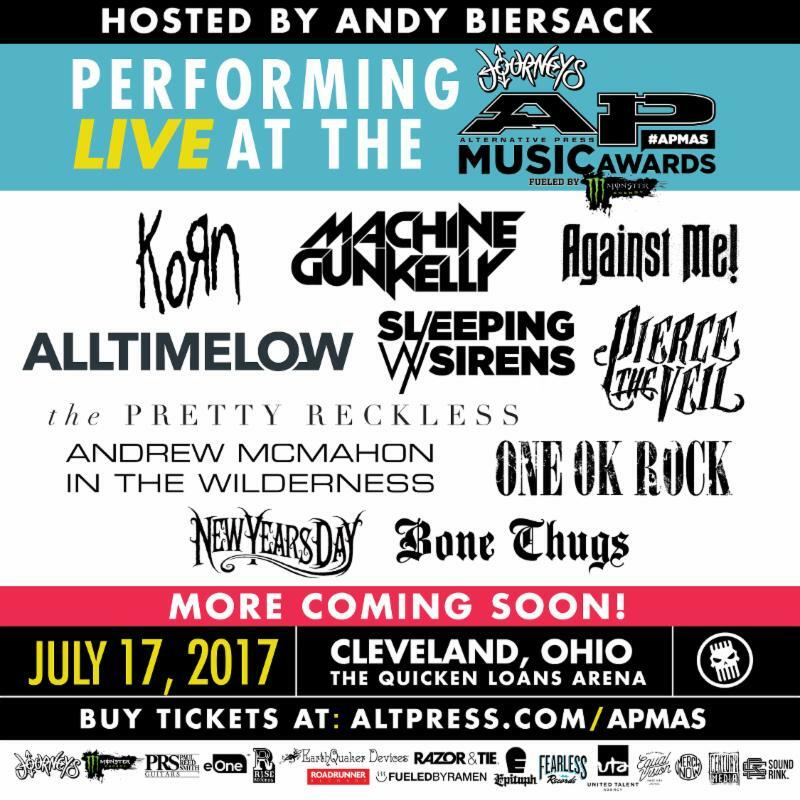 The event will be held on July 17, 2017 at Quicken Loans Arena in Cleveland, OH. Hosting this year’s event will be Black Veil Brides frontman, Andy Black mastermind and star of the upcoming film American Satan, Andy Biersack (who is nominated for Album Of The Year for his debut solo effort The Shadow Side and Song Of The Year for his dance floor anthem “We Don’t Have To Dance”). Confirmed presenters include GWAR, Starset, Sylar‘s Jayden Panesso, Too Close To Touch and Trophy Eyes vocalist John Floreani.